Israel never "negotiated the exchange" of nuclear weapons with South Africa, President Shimon Peres said, denying a report that he personally offered missiles to the apartheid regime in 1975. A book out Tuesday by an American academic claims to document negotiations between Israel and South Africa on nuclear-capable Jericho missiles, plus warheads, as part of extraordinarily tight military relations between Israel and the pariah government in Pretoria. "The Unspoken Alliance. Israel's Secret Relationship with Apartheid South Africa," by Sasha Polakow-Suransky, quotes official South African documents on meetings between Peres, who was then defence minister, and his South African counterpart P.W. Botha. Israel never negotiated the exchange of nuclear weapons with South Africa, Israel's President Shimon Peres has said, denying a report that he personally offered missiles to the apartheid regime in 1975. According to the account, Peres and Botha met in 1975 in Zurich, where Botha "expressed interest in buying the Jerichos if they came with 'the correct payload,' and that 'Minister Peres said that the correct payload was available in three different sizes.'" The terminology in the memo, Polakow-Suransky writes, "makes clear that Botha was talking about nuclear warheads." If the minutes were proven to be authentic, they would provide documentary evidence for Israel's possession of nuclear weapons -- a fact which is widely accepted but which the Jewish state has neither confirmed nor denied. However, the allegation prompted a strongly worded response from Peres' office on Monday. "There exists no basis in reality for the claims published this morning... that in 1975 Israel negotiated with South Africa the exchange of nuclear weapons," it said. "Israel has never negotiated the exchange of nuclear weapons with South Africa. There exists no Israeli document or Israeli signature on a document that such negotiations took place," it said. The statement said the allegations were based on "selective interpretation of South African documents and not on concrete facts", it added. At the time of the Zurich meeting, South Africa had not yet acquired nuclear capabilities and would not do so for several years. The book says that the warheads deal was aborted because Botha thought it was premature and too expensive. However, military ties only strengthened, according to the account, right up into the 1980s, when South Africa's white supremacist regime was struggling to circumvent crippling international sanctions. These military ties included everything from lucrative sales of Israeli conventional weapons to South Africa to the purchase of South African uranium by Israel and a top secret program in which Israeli specialists moved to a South African rocket testing base on the Indian Ocean coast. "Nuclear missiles notwithstanding, the Israelis were extremely eager to sell anything and everything to Pretoria," the book says. Polakow-Suransky writes that "Israel's government did its utmost to prevent me from getting" his research into the little-reported alliance. But eventually, South African defense officials gave him access to previously secret documents "due in no small measure to the fact that the people whose records I sought are no longer in power in Pretoria." The book is published by Random House in the United States. Israel is widely believed to be the only nuclear power in the Middle East, with around 200 warheads, but has maintained a policy of deliberate ambiguity about its capabilities since the mid-60s. 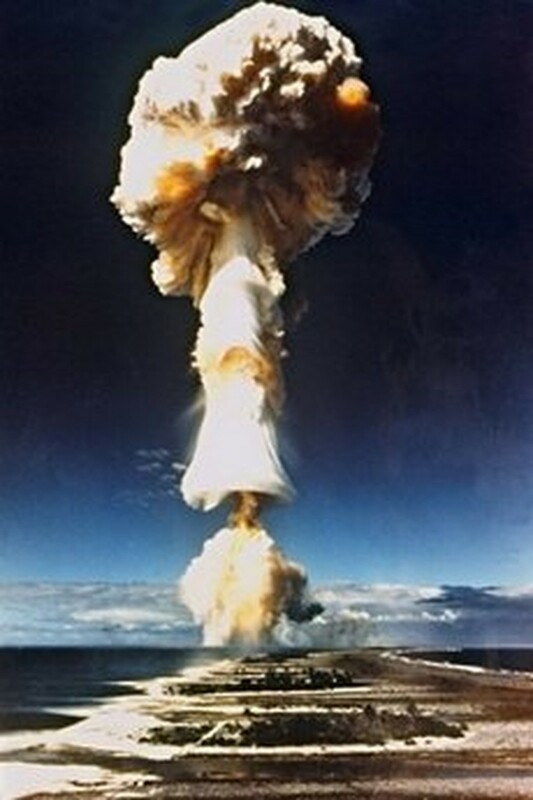 In September 1979 the two countries allegedly carried out a secret nuclear test an offshore platform in the southern Indian Ocean. The revelation came to light in another declassified document which was released in Washington in 2006 at the request of the security studies centre at Georgetown University. The document, which was prepared for the White House, said Israel and South Africa were cooperating on military issues, including nuclear research. "The Unspoken Alliance" reports a "smoking gun" on Israeli-South African military ties as late as May 1989 when Soviet and CIA satellites noticed what seemed to be a Jericho 2 rocket launch off the southern coast of South Africa. "It confirmed that Israel was still cooperating with Pretoria two years after pledging to halt military ties," the book says. South Africa eventually dismantled its nuclear weapons programme under UN supervision.